Age, income, size of household—these are all factors that can determine how much money one chooses to spend on groceries. While the amount may vary, one thing is certain: most of those groceries go to waste, especially perishable items like produce. In fact, Americans chunk about 470 pounds of groceries into the trash each year because they spoil too quickly, according to statistics. But there are a few tricks to help keep some of your groceries— especially your fruits and vegetables—stay fresher, longer. To learn how to get a better bang for your buck, continue reading below. For many, grocery shopping is a hassle. This is why some choose to grocery shop only once at the beginning of each week. But "stocking up" on a week's worth of produce on a Sunday for example won't save you any money—you'll most definitely have a few rotten items by the week's end (most produce only lasts about five days). So instead of selecting produce you think will last you an entire week, only pick out items you plan on using immediately. Shop with meals already in-mind so you know what you need and don’t need. This trick will also help prevent you from "over shopping" which also leads to unused food and a waste of money (you don’t need all six avocados just because they're on sale). In other words, do not buy more than you will consume. Also, be realistic. If you know you don’t have the energy to cook healthy during work days, shop for a few fresh items on the weekend and just cook then. Some refrigerators have two separate built-in crispers, one designed for fruits and the other for vegetables; others just have one. 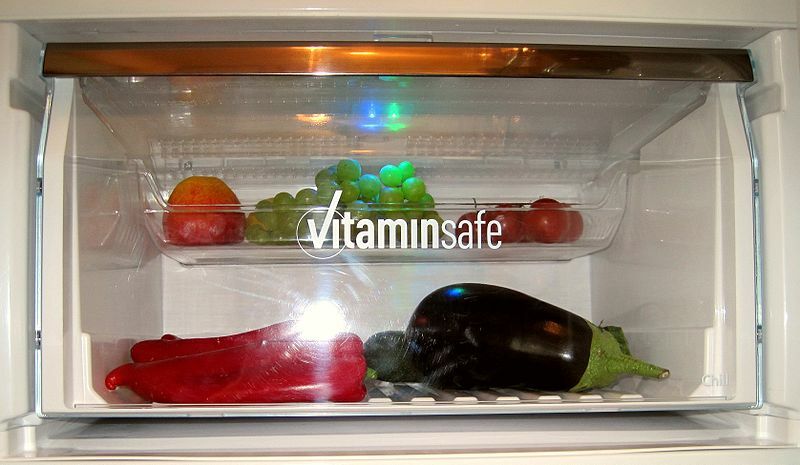 If you have the latter type of refrigerator, you'll need to make some extra shelf space to keep certain fruits and veggies separated—or keep them in different fruit bowls. 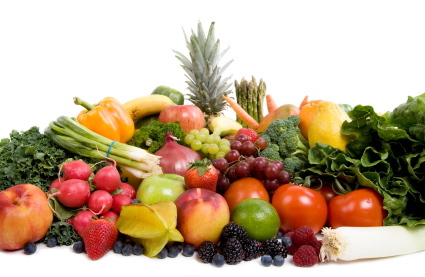 This is because most fruits release ethylene, a gas that causes vegetables to ripen and wilt at a speedy rate. While the cold is supposed to help slow down the release of ethylene, it can still do some major damage to your new produce. Vegetables that are extremely sensitive to ethylene gas include leafy greens like kale, collards, spinach, and romaine lettuce as well as cucumbers, asparagus, carrots and Brussels sprouts. Do not let these types of veggies mingle with fruit, especially apples, peaches, avocados, tomatoes, peppers and green onions since they are known to release the highest levels of gas. Without air, your produce will suffocate and rot. So if you choose to keep your produce in baggies, at the very least punch a few holes so air can circulate. It's equally important that you keep your produce dry—do not wash your collards for example until you are ready to use them. Also refrain from pre-cutting your produce, since this action changes the chemistry and causes the item to ripen more quickly. Clear crispers are usually best because consumers can actually see and be reminded what they have left. Those with solid crispers sometimes forget about their newly purchased produce and let it go to waste. If you do not have clear crispers, place a few items on a shelf (especially the ones that tend to wilt the fastest) so that you don’t forget about them and consume them in enough time. Lastly, and probably one of the more economical approaches when buying produce, is to freeze it. This method doesn’t compromise nutrients or the taste and you get to eat it whenever you want (most frozen produce stays good for up to a year). Plus, making your own flash frozen produce is a lot cheaper than the ones you can buy in the supermarket. All you need to do is blanch your vegetables first and put them in a freezer plastic bag. Anyone have any other great ideas on how to make produce last longer? Jemima Lopez is a freelance blogger and writer who writes for Zen College Life, the directory of higher education, distance learning, and online degrees. She welcomes your comments at her email: lopezjemima562 @ gmail.com. "Natural Foods" - Don't Be Fooled!! !